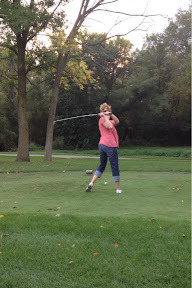 We finally went golfing yesterday. The whole family. We went to Winding Creek. It was a beautiful day for it and we got a great deal. $40 for everyone to golf along with two carts. The first hole was rough. Everyone was still in baseball/softball mode. 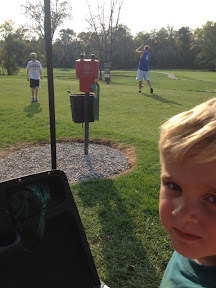 I thought we'd never make it through nine holes before it was dark. 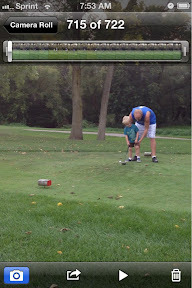 Everyone got a little better with each hole. It was fun and I'm glad we got to do it. 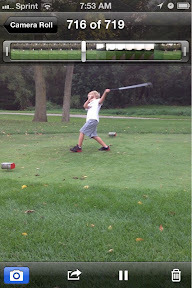 The only problem- Noah wants to be outside hitting golf balls instead of doing school this morning!